Cast iron does however, come with a catch (as all good things, none come for free). Upkeep of cast iron cookware does require vigilance and care; to keep a pan non-stick, it must remain well seasoned. This means it cannot be washed in a dishwasher, or with heavy detergents, it must be cleaned by hand after each use, traditionally using oil and salt. The results of this small input however, often repay owners tenfold, as cast iron cookware is renowned for being near indestructible when used correctly, and for always giving steady and reliable results. Heat is distributed evenly throughout the food, no hot spots appear (where food always seems to burn no matter how careful you are) and the cook therefore has a much greater control over the temperatures and timings of what they are cooking. Cast iron also retains heat very well, so even when you have switched off your stove or oven, the pan will keep the food nice and warm for much longer than any other cookware category- making it an excellent choice for cooking family dinners, or for simmering stews. The downsides for cast iron include the weight- they are by far the heaviest cookware available- and also the reactive nature of raw iron means that the pan may affect the taste or appearance of some acidic foods. This can be avoided by a ceramic or enamel coating on the pan, which many Dutch ovens now feature, making them ideal for sauces. The enamel coated cast iron pans are very nice new, but they do stain and scratch so be prepared to lose some aesthetic value over time- a little more care must also be taken with coated pans, as they can chip or peel if knocked into things. Due to its nature, cast iron also takes much longer to heat up than the other styles of cookware, so for a quick egg in the morning it may not be the best choice of skillet, for slow cooking however, it is unbeatable. 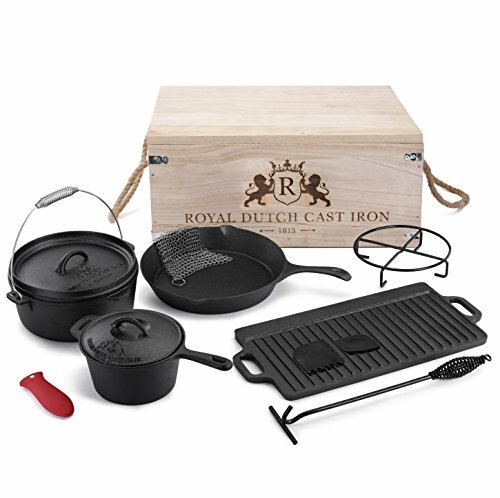 Our #1 choice for cast iron cookware comes from Royal Dutch. It's a pretty crazy deal (hove for current price) in that it includes a cast iron pan, pot, dutch oven & griddle, plus a cleaning set, lid lifter, and vintage storage box. Stainless steel alone is a hardwearing choice, it lasts well and can be cleaned with heavy brushes or dishwashers without fear of damage. It is however, susceptible to developing hotspots and warping under high heat if used frequently, so for busy kitchens it may not be the best choice. Multi-ply cookware with a conductive core is probably the most practical choice for most home cooks, who can then add specialty pans as needed. 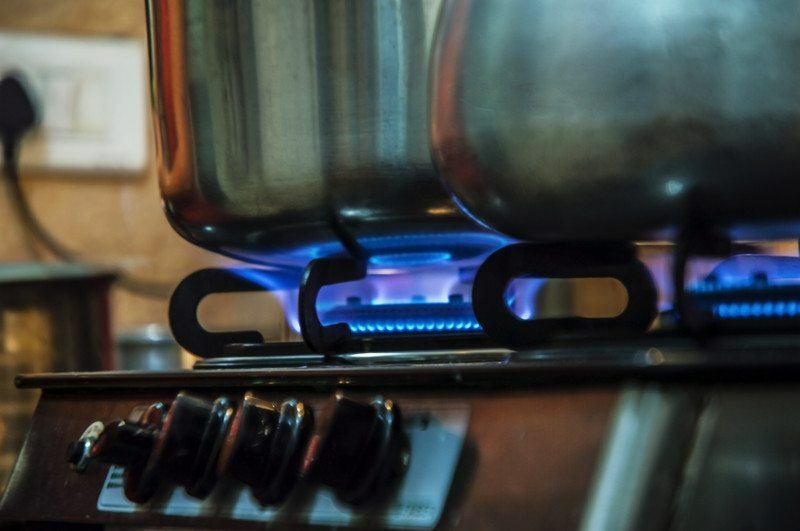 Stainless steel is not the best conductor of heat, and heat can be distributed unevenly leading to food being cooked more in one spot than another, especially if the pan has warped. This can be avoided by using better quality (although more expensive) multiple layered pans, with cores of more conductive metals. Many manufacturers offer a copper core stainless steel line, which combines the best qualities of the two metals; the conductivity and even heat distribution of copper with the durability, non- reactive and machine washable properties of stainless steel. Copper based pans are also available, upon which copper has been used to line the outside of the pan, with a similar effect as a copper core, except more care must be taken with the upkeep of these pans compared to a copper core version. We recommend a blend of both. The All-Clad brand for a number of reasons. Many other brands claim to sell copper core, but only have copper coating on the bottom of their pans for appearance. This flakes off! They are pricey, for sure, but with copper core stainless steel you get the best of both words and unparalleled cooking quality. 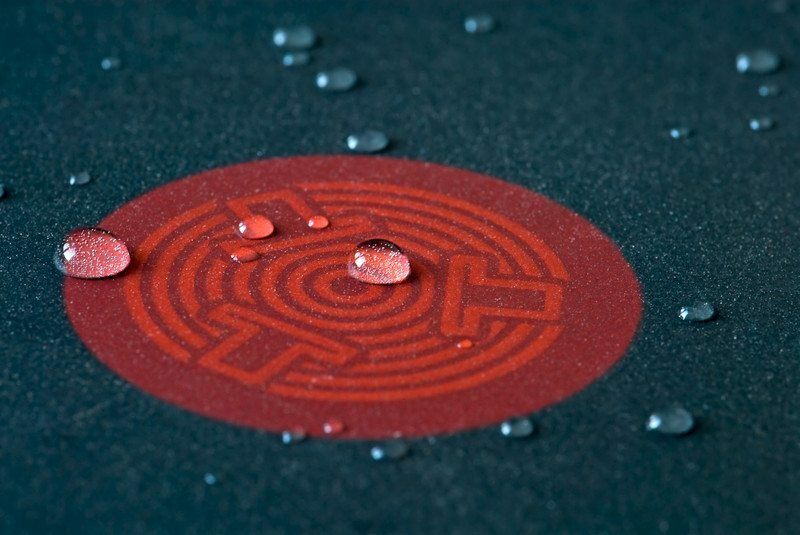 Fast heating, non-reactive material, that's easy to clean and maintain. Very lightweight and a good conductor, having an aluminum core will improve the conductivity of a stainless steel pan, while at the same time making it easier to handle and store. A distinct downside to this type of cookware however, is that aluminum is a soft metal and can warp more easily when used frequently and at high heats. Their soft nature also means they are more at risk from being dented or marked, which may affect their use, as well as their aesthetic value. As a whole, stainless steel cookware items are fairly durable, and completely dishwasher safe- they are not delicately lined, so a good scrub with a wire brush will do them no harm in comparison to non-stick items for example. This style is generally lightweight, and requires very little upkeep in comparison to cast iron or carbon steel. The metal is non-reactive, meaning you can cook any product inside without it being affected- a good choice for anyone needing more versatile cookware. 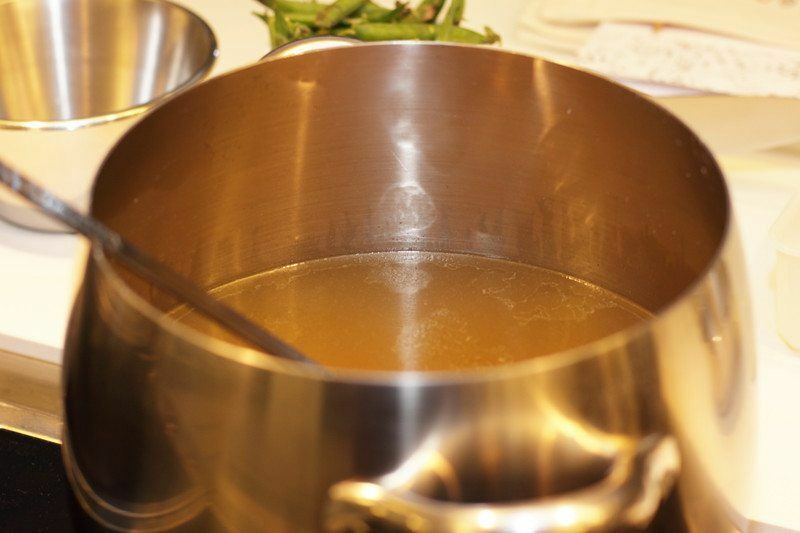 There are a few problems that can arise with stainless steel cookware, include warping and uneven cooking, and hot spots that can also appear, which cannot be later rectified. 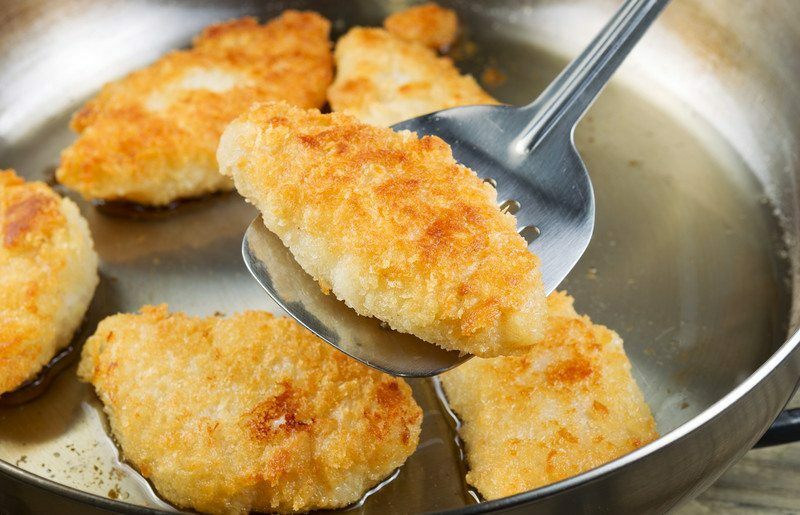 When a pan warps it is generally due to repeated heating, for example stainless steel frying pans constantly used over a gas flame will become raised in the center, which greatly affects the cooking of flat delicate foods such as fish fillets. It is thus important to consider the type of heat a pan will be exposed to in order to preserve its condition for the longest period of time. A similar problem is the formation of ‘hot spots', which are places on the pan that quickly become much hotter than others, leading to food suddenly burning (a good way to test this is to wet a pan, and sprinkle caster sugar over it before placing it over heat, you will see that the sugar will burn in some places while it is barely melted in others). A stainless steel pan is convenient in regards to minimal upkeep and ease of cleaning, but for this you will generally sacrifice even heat distribution and durability, and are more likely to have to stand and watch your food to be sure it doesn't catch and burn. To avoid this, especially with sauces, it is necessary to stir much more frequently than with a cast iron pan. Many of these issues are solved by buying a high quality brand like Viking. 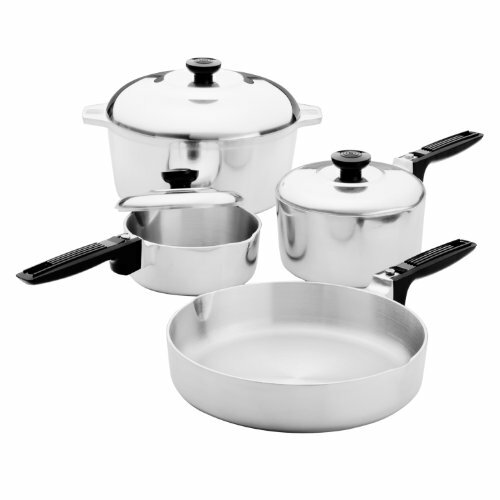 This particular set uses 5-ply stainless steel with an aluminum core that will give you more even heating. The Viking brand also features “cool” handles (as in, “not hot”) and interior capacity markings. The quality of this Made-in-the-USA brand is well known. Popular in professional kitchens, carbon steel pans offer a sort of hybrid between cast iron and stainless steel. Carbon steel has a high rate of conductivity, and can withstand high heat without warping, making it great for browning meat as well as the controlled cooking of eggs or omelets. Similarly to cast iron, carbon steel does require seasoning (when not coated); but with correct care and little time a carbon steel pan functions brilliantly as a non-stick pan. Regular use will ensure that the surface of the pan (much smoother than the finish on most cast iron cookware items) will retain a good layer of seasoning and remain non-stick. Carbon steel pans enjoy many of the properties of cast iron, except they hold less than half the weight, and thus they are durable and resistant to warping without being overly heavy. A difference in shape between cast iron and carbon steel pans is that carbon steel generally have curved sides, making them excellent for sautéing food and tossing items without incident. This style of cookware can both retain heat well, and heat up quickly, the seasoning process is also much easier than with the rougher surface of cast iron cookware due to the smooth nature of the steel. With this style of cookware however, there is a real danger of rust- if carbon steel is not cared for correctly, rust can easily form, leading to discolored food and a metallic taste. To avoid this, owners must take care to season the pan regularly, even just a quick weekly wipe with oil and a dry storage space will keep any rust at bay. Another downside is that carbon steel pans are reactive with acidic and alkaline food, so are not fully versatile to all ingredients. Lodge is a very popular brand that makes outdoor cookware, although you can certainly use this inside as well. I looked for “sets” like many of the other styles of cooking offered, but none were available that really got good reviews. Instead, I recommend searching for the specific style of cooking vessel you want. The most popular is the standard frying pan or skillet, though woks and various pots are available too. 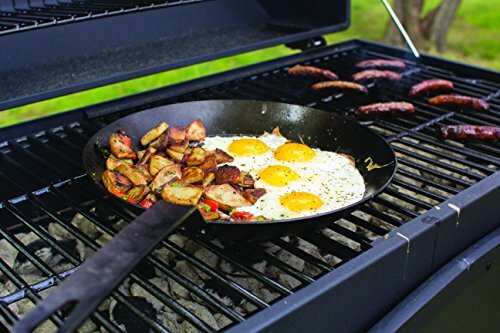 Lodge has 8, 10, 12, and 15 inch skillets available. Very cost effective, plain aluminum is common in restaurant kitchens, it is however susceptible to warping, and for cooking that requires high control over heat it is not a very practical choice as burning can occur quickly. Aluminum is also a reactive metal, making it unsuitable for acidic items, such as wine, tomatoes or vinegar. In order to counteract this, modern aluminum pans are now often anodized. Anodization is an electrochemical process that alters, hardens and blackens aluminum, creating a form of buffer between the metal and the food, minimizing the risk of the food being affected by the metal. There are a ton of brands that offer aluminum construction with non-stick coating, but to get the true cast aluminum traditional cookware, I recommend Magnalite. Their eight piece set comes with 1 and 2 quart saucepans, a 5-quart Dutch, and a 10-inch skillet. 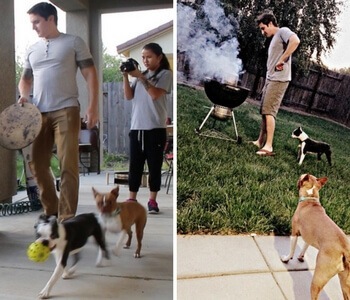 Keep in mind the dutch oven is only oven safe up to 350 degrees F! 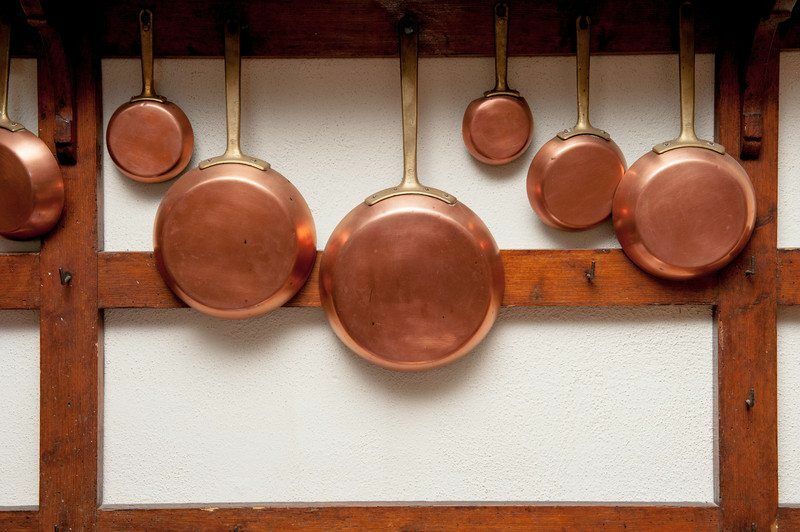 Copper pans need additional care in order to retain their classic shine, they require a special type of polish for best results, and while they make great show pieces, they are not so suitable for a busy family home or kitchen. They do however, have excellent conductive properties, so for cooking that requires great control over heat they are a fine choice. That's why you'll see them in a lot of fancy cooking shows for doing special creams, sauces, or foods that are very precise! For buying true, 100% copper cookware, you'll need to look for a specific item. Every single “set” I've found online is copper coating with stainless steel (or other) interior. 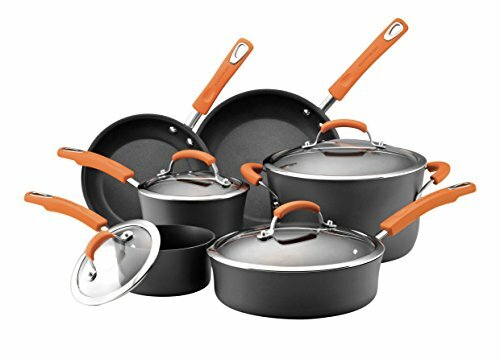 Non -stick cookware consists of pans that have been treated with a special coating to encourage the non-sticking of food. Often then do not need any oil or butter, making them popular with people trying to cut either from their diet. There is a real danger of overheating however, if certain types of coated pan are exposed to very high heats they emit toxic fumes, that have been linked to the deaths of pet birds and flu like symptoms in humans. The most common metal used for non- stick pans is aluminum, it is lightweight and cheap to manufacture and transport, and also very conductive, but while this factor means they heat up quickly, it also entails the high risk of warping when exposed to higher heats. Though there are many popular brands out there, I personally like Rachel Ray's sets. They come in a variety of colors, include different items for each set, and have very good ratings. They are fairly priced as well. Here's one example of a 10-piece set. Hover over the image for the current price. 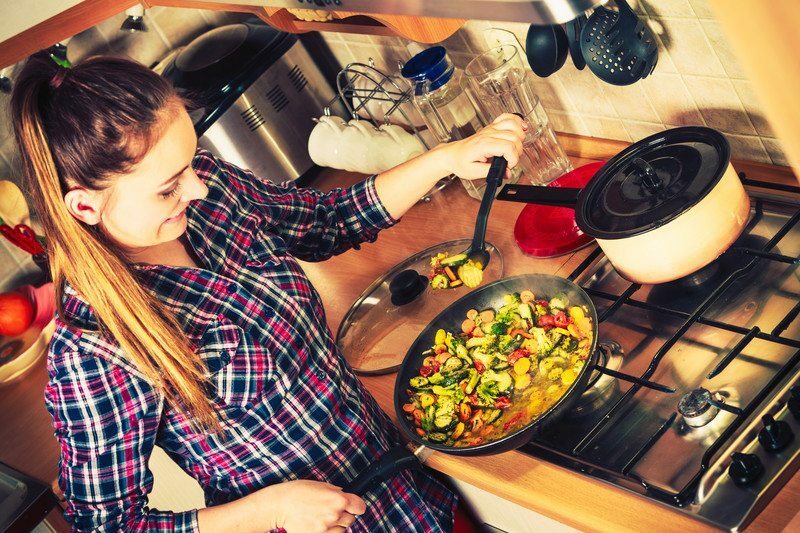 Which Kind Of Cookware Is Best For Your Kitchen? In summary then, if you're looking for durability and reliability, matched with an ability to bring the deep heat needed for browning meat or vegetables, cast iron or carbon steel are the front runners. Cast iron pans are heavy duty and will last indefinitely, but they require the most care out of any of the styles of cookware, so are generally suitable for the most dedicated of cooks. 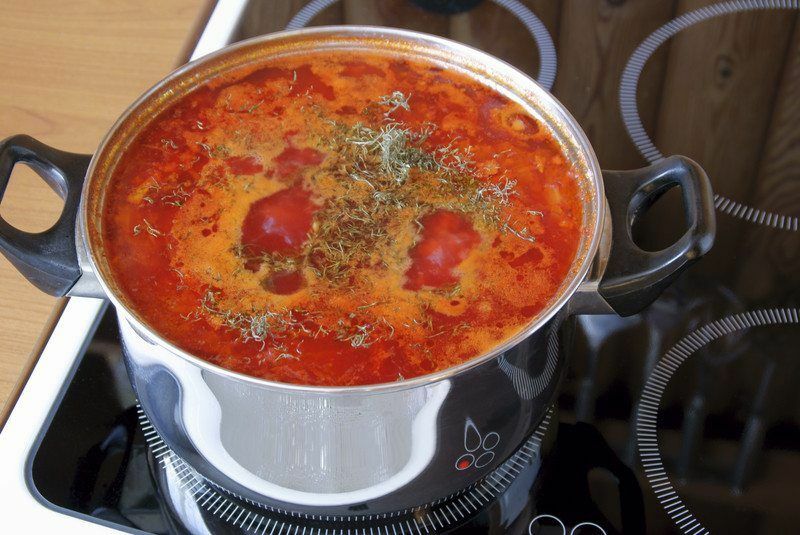 The cookware retains heat very well, but takes the longest to heat up out of any of the available metals, so timing is also a factor in their use. Carbon steel cookware is less heavy, but still very durable and able to resist heat damage very well, it still requires some work to retain its non-stick properties and to avoid any rusting, but needs much less attention than its cast iron equivalent. It also heats up much faster out of the two, although it won’t retain heat so well. For versatility, stainless steel, or multiple ply stainless steel cookware ranks highly, being non-reactive to foods, as well as fairly durable, alongside being lightweight. Not a great conductor alone, stainless steel gives much better results when lined with aluminum or copper, although their expense rises with multiple layers. For absolute control over temperature, especially when making jam or custards, a copper pan is the best choice, it is easily the best conductor out of the cookware metals. It also has a very pleasing aesthetic, although this does require some upkeep. It is however reactive with some foods, so care must be taken over how it is used. For quick and easy use, a non-stick pan requires the least work, but it is also the least reliable, and will likely become ruined over the course of a year if used frequently. Dishwasher friendly, it is also wipe clean, but will suffer at high heats and has the potential to release poisonous fumes if left unattended.